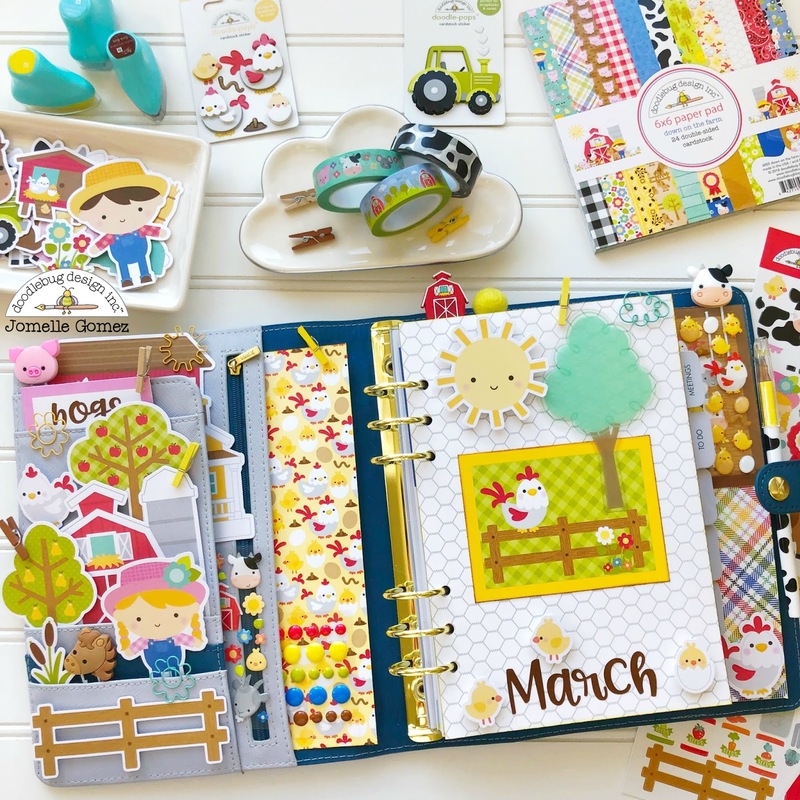 Old MacDonald had a farm, E-I-E-I-O! 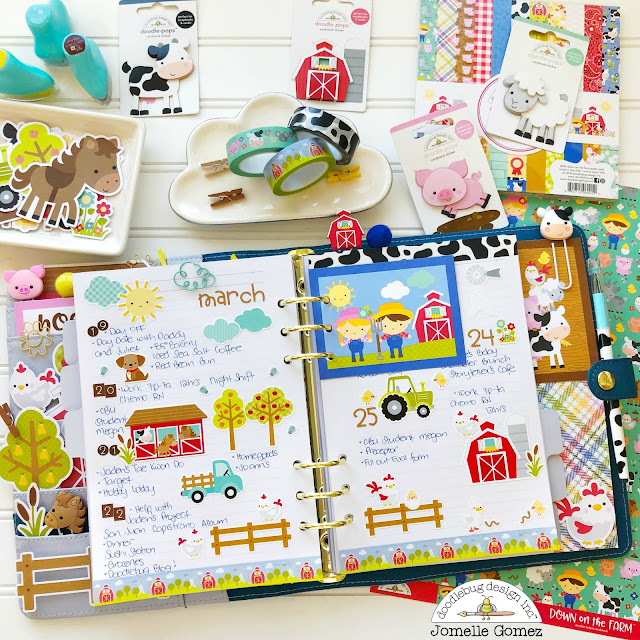 Setting up my planner pages with the "Down on the Farm" collection makes me want to sing that song especially since it's one of my daughter's favorite songs to sing. My daughter Juliet was really excited when she saw all the cute animals. She wanted to have the Horse Jelly paper clip. All the jelly clips are cute but the Pig is my favorite. 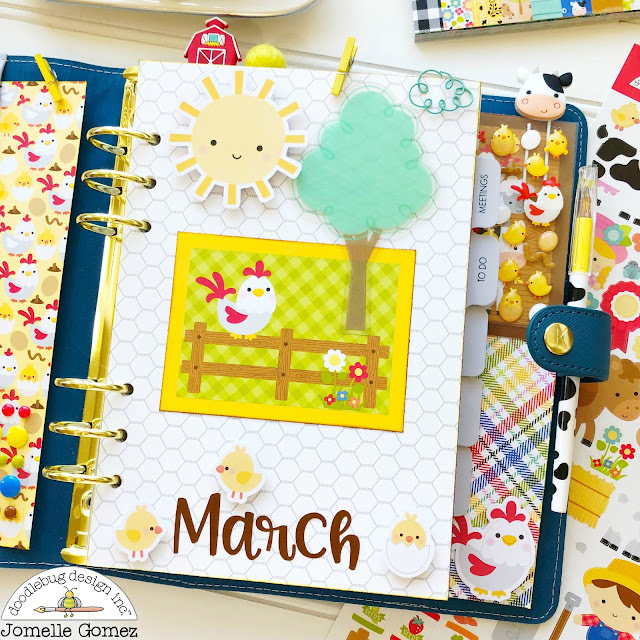 The chickens are super cute that I wanted to make it the focus of my dashboard. I also have a thing for yellows right now. Doodlebug odds & ends has many cute and colorful pieces that I always want to use them in my planner pockets. I love this little scenario that I created. This week layout. I created my layout using the Icon Stickers. 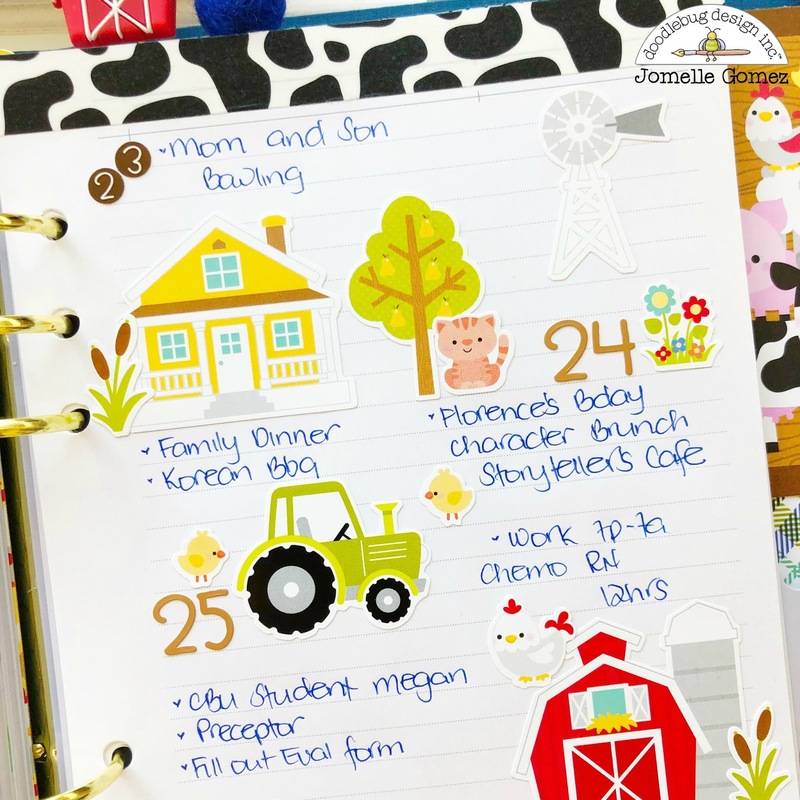 The size of the stickers is perfect for planners. 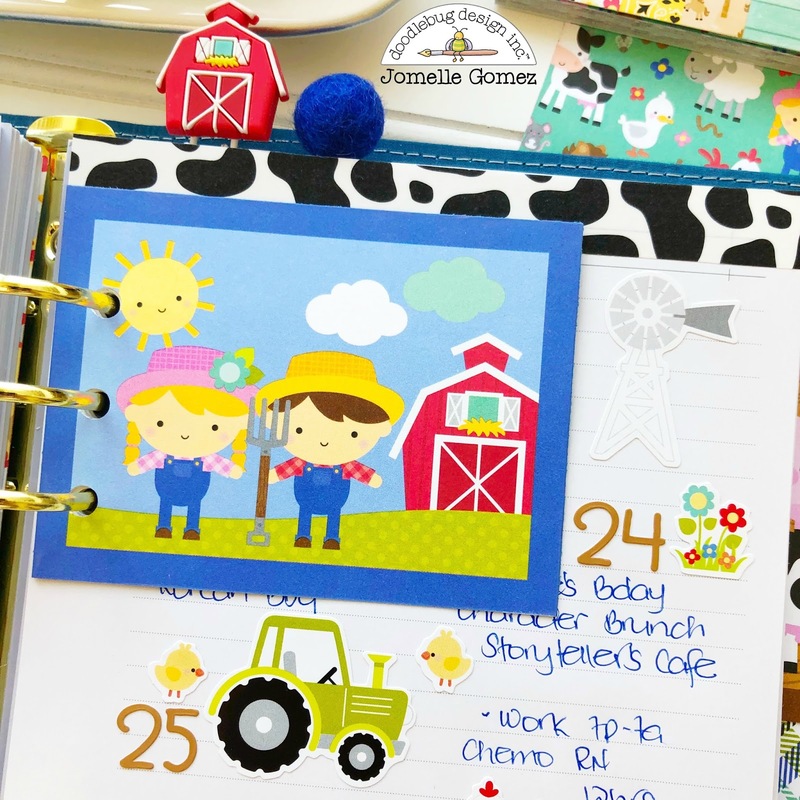 I used the teensy type cardstock stickers to add the month and the dates. I cut up the "Buffalo Check" 12x12 cardstock paper and punched holes so I can add it to my planner. I think the couple is perfect for my layout that I created. You can see what's behind it when the piece is flipped over. 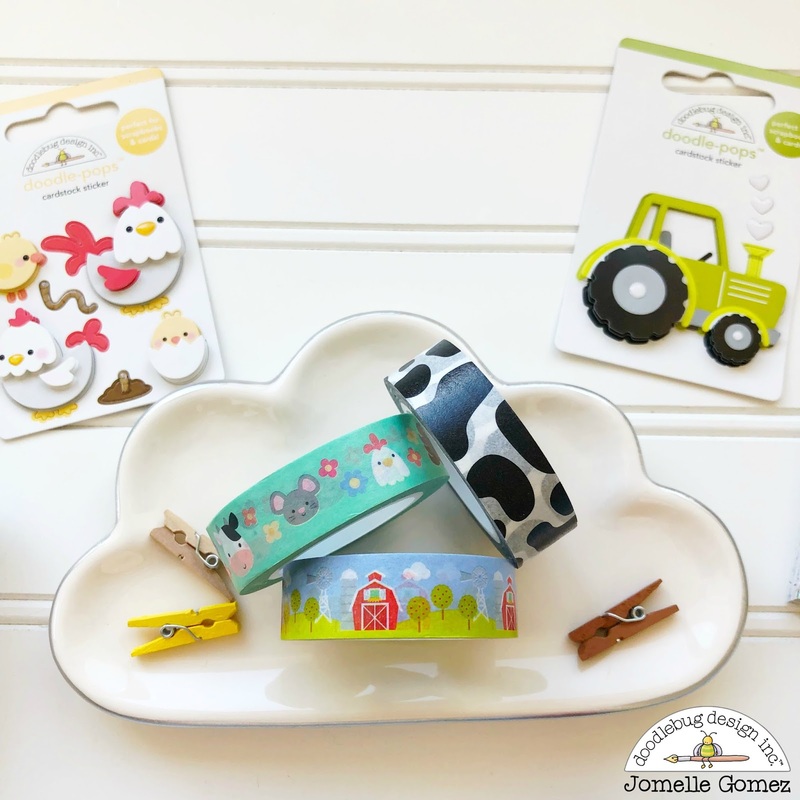 Adorable Washi Tapes to match the collection. Thank you for stopping by. 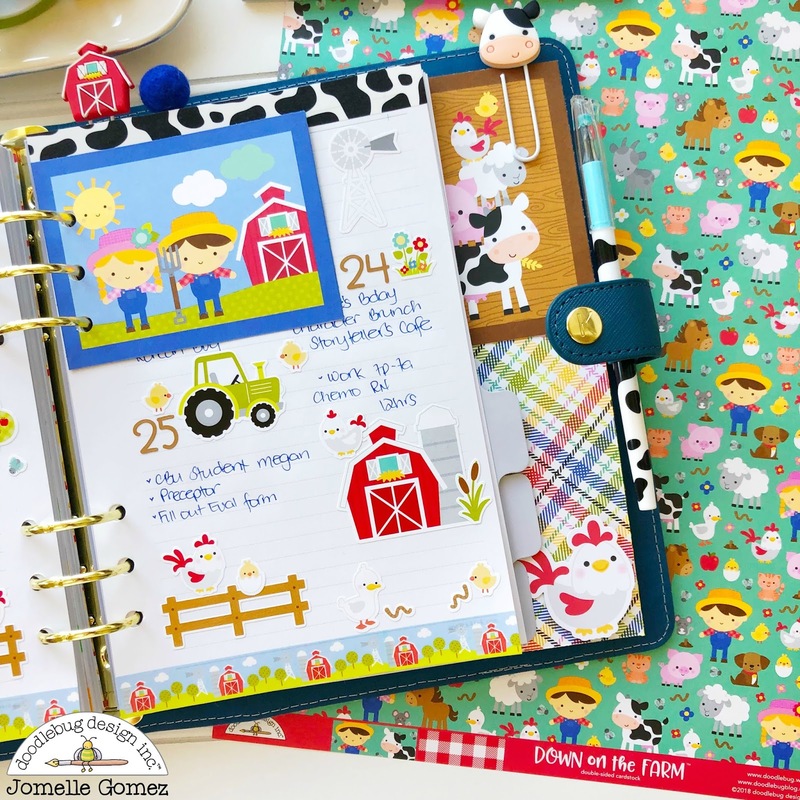 I hope I was able to inspire you to use the "Down on the Farm" collection in your planner pages. 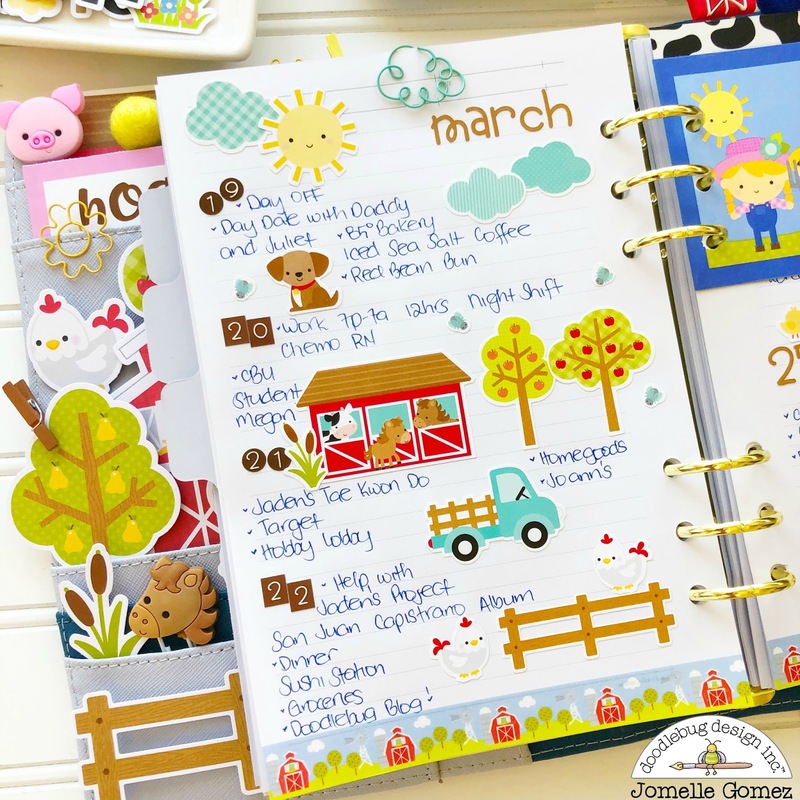 I love how you used the odds & Ends in the planner pockets... so cute!